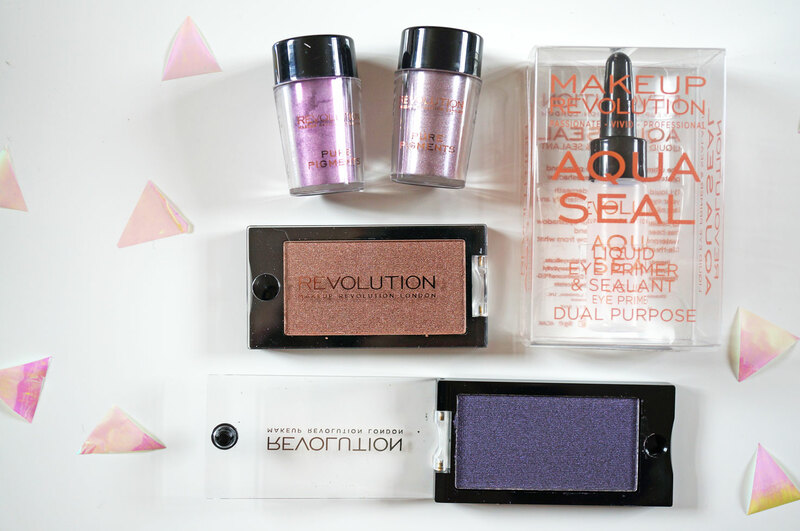 I know it’s been a while since my last Makeup Revolution post so luckily for you I have another hit of MUR goodness for you today! 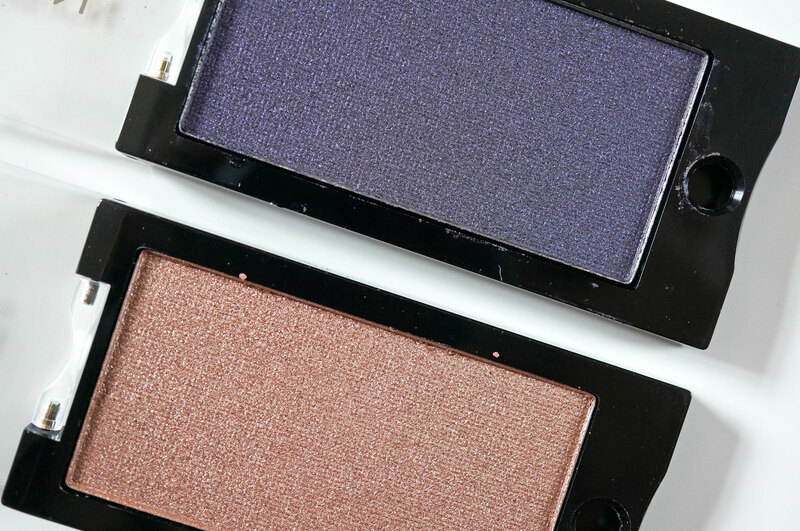 😀 I’ve got some gorgeous purple and brown autumnal shades to show you in the form of Eye Dusts, Single Eyeshadows, and the Aqua Seal Liquid Eye Primer. So here we have it! 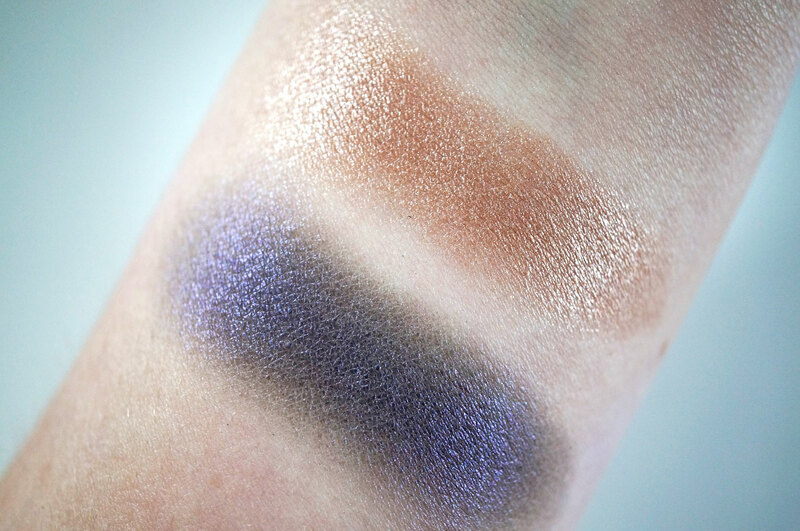 On the left is the Eye Dust in Levity, a lovely bright mid toned purple, on it’s own, and on the right is the same product mixed with a drop of Aqua Seal. Just look how much more intense the colour comes out! It’s like having two completely different products! You can’t tell so well from this picture but the Eye Dusts also have a fantastic high shimmer finish, which looks especially awesome with the Aqua Seal combo! 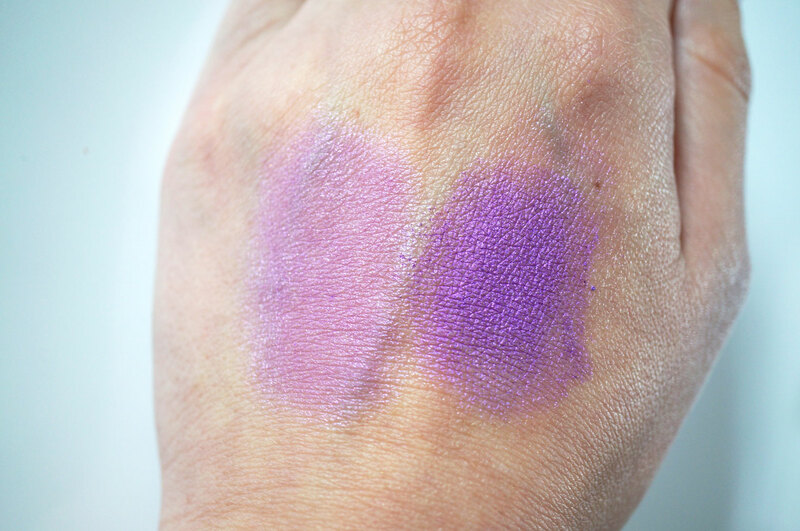 I did the same with the Eye Dust in Confront, a gorgeous muted purple with a high shimmer finish, and got the same effect! This picture shows a better representation of the super high shimmer ‘foil’ finish. Also, I should tell you a bit about the Eye Dusts – they’re SO finely milled, there’s not a hint of glitter, and they’re pretty much amazing like coloured icing sugar! And they’re only £1 each too! Result!! 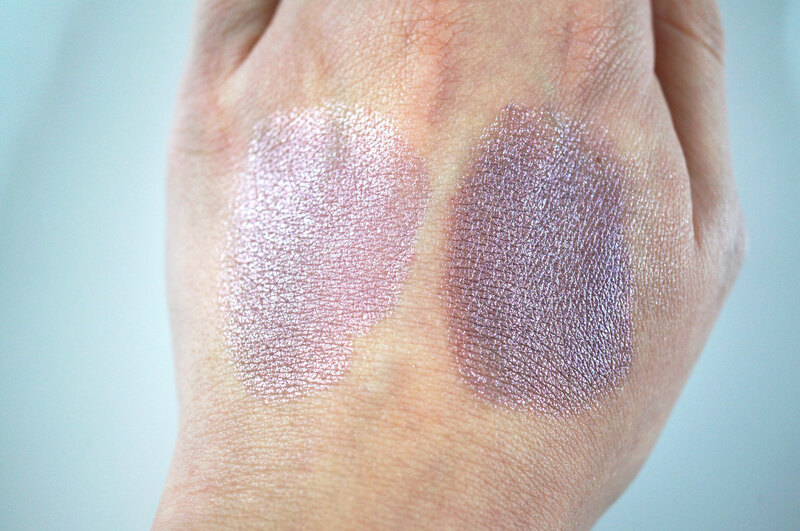 I also have two gorgeous autumnal shades of eyeshadow in I Wont Be Alone (top) and Cappuccino (bottom) I really love both of these shades, but Cappuccino especially as it’s such an easy to wear colour. 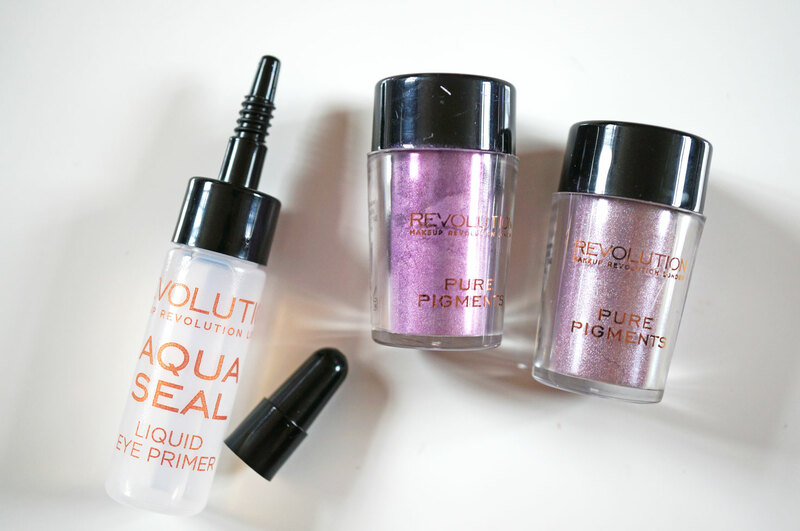 I can’t tell you how impressed I am with all of these products, apart from the fact that they’re great cosmetics in their own right, the Eye Dusts and Eyeshadows are only £1.00 each, and the Aqua Seal is only £3.00, these really are budget cosmetics at their best! Beauty: Nip & Fab Launches New Makeup Line! Previous Post My Friday Night Pamper Sesh!